Blogs have been around for a long time yet they still retain a very vital place in the music industry. They can be incredibly influential and remain one of the most effective tools in the modern day industry to help artists grow their fanbase online. To promote your music, do your research. Make sure you know what genre of blog you are looking for and make sure your music is ready for exposure to the public. Make a step-by-step plan and create a pitch that will stand out among the unread emails. So, why is a blog useful for musicians? Firstly, blogs are fantastic for exposure. It can really help to build your fanbase and encourage more people to learn more about you and your music. Music blogs give you a chance to express yourself as an artist, get your opinions out in the public domain and of course, share your content to the world. Fans enjoy learning more about an artist’s personality and their life outside of music. This makes blogs an excellent way to build up interest and excitement around you as an artist and as a person. It also provides an opportunity to upload recent interviews, videos or photo shoots to keep your fans up to date. The other great thing about blogs is that they stay relevant – one of your fans might come across some content you posted a year or two ago and could learn more about you and discover new music. Blogs also often get picked up by record labels and streaming services looking to update their playlists. Blogs have come on leaps and bounds since they first appeared online. While some blogs are simply side projects for people who love music, some are run by teams of committed writers. In reality, blogs are everywhere. They are simply a website with regular updated posts, stories or articles, provided in chronological order. It’s regular online content that keeps the reader engaged – many websites nowadays are very well presented blogs. Usually, there are different forms of blogs but they are predominantly based around genre, content, location or a company. 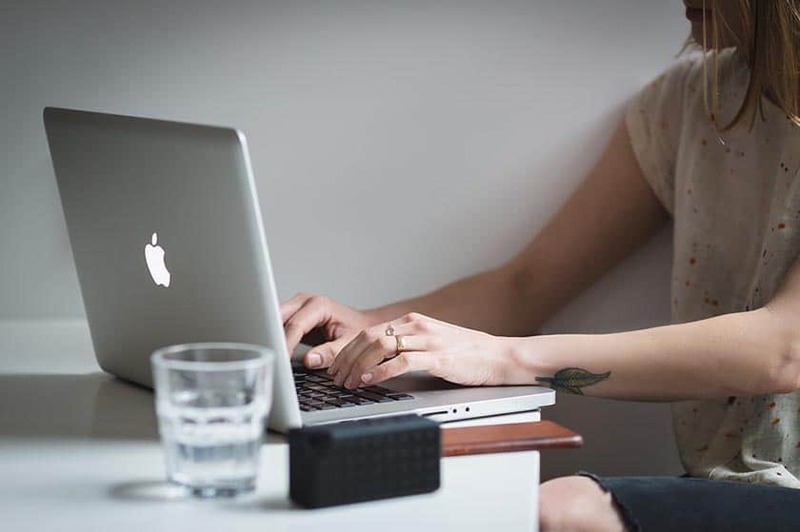 Music blogs likely fall under the categories of either genre – this would likely be in your case, a music blog with feature-length interviews with artists or articles about the music industry, or content – featuring music clips or videos. When are you ready for a music blog? Once you’re in a position to record, work closely with a producer to create a good quality recording that is more likely to get picked up by bloggers. You need to prepare yourself to do a lot of research to find the right blogs. Firstly, make sure you know what genre your music falls into. Have a look at other artists and see what blogs they have been featured on. 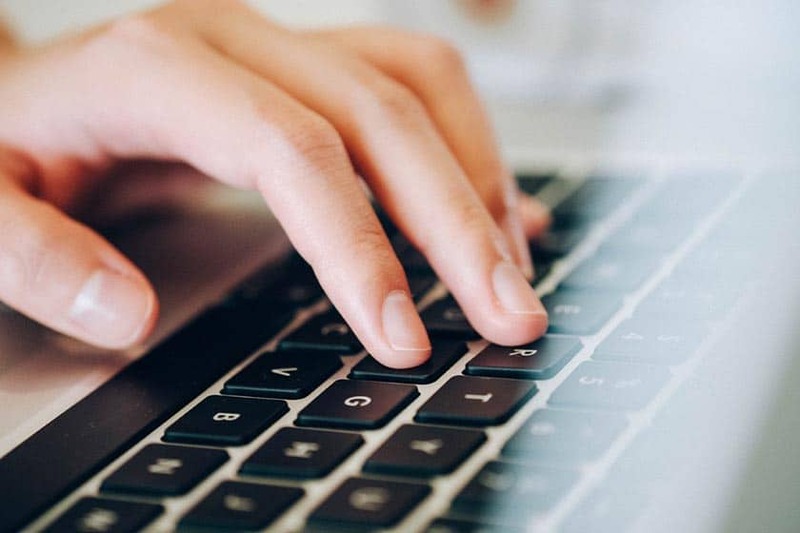 Make sure you have a strong understanding of the type of content the blogger is writing. When does this blogger write content? Is it when an artist is just releasing new music or is it when they are touring? Look at using a service like SubmitHub which helps artists in the music industry who are trying to get involved and featured on music blogs. SubmitHub is a fantastic and invaluable tool to help artists starting out in the music industry. It is a great platform for musicians to contact music bloggers, record labels and Spotify playlisters, plus many more. It provides lots of useful statistics to help you work out who to send your music to and how to filter it so that it ends up in the hands of the right person. Companies such as Spotify and Apple Music use the service by following its bloggers and playlisters as a way of discovering new music. It also provides feedback on songs. The way it works is that you upload your song, then pick blogs you think apply to your style of music using genre filters. Submit it and you could get a response from record labels or bloggers within a matter of hours. There are almost 700 active blogs and labels using SubmitHub, reaching 82 million people, so the statistics speak for themselves. The most important thing is to make sure you are ready and you have good quality music that you believe is good enough to pitch to a music blogger. Then, you need to make sure that you present it well. So, firstly, make sure that you are submitting your music to the right type of blog. Have a listen to the music and make sure you are positive that there’s a chance it will get featured. Next, make sure that you follow the submission guidelines. This is really important. If you don’t follow them, you will likely be ignored. They will be on the submission page itself and make sure you properly read and follow them. If the blog states that they are only focusing on rock music right now and you’re a pop star, don’t waste your time applying. Ensure you have the correct contact details. The last thing you want to do is make all that effort into submitting your music and then find out later that you sent it to the wrong person. Take the time to find a name so you can direct your music appropriately. It shows you have made an effort and it’s more personal. Check all your spelling, grammar and punctuation. It sounds obvious but making a simple error could seriously damage your chances of getting your music onto the blog. Bloggers are professional writers and they will notice if you have misspelt something or if you have made a grammatical error. Include links to all your social media, website and your music whether it’s on a streaming service or on a website like YouTube. You want to make it easy for the blogger to find your music. If it’s too difficult they are likely to lose interest. Don’t send attachments as music bloggers are all about streaming nowadays and are unlikely to open anything that requires more effort to listen to. Sell yourself as an artist but don’t go overboard. It’s all about content. Give yourself a good shot at getting your submission read by being professional and not too wordy. Make the subject of the email stand out so it’s more likely to get picked up. Describe your music and give a comparison to other artists. How do you get your music heard on the internet? There are so many different ways to get your music heard online but one of the best ways is to use streaming services. Whether it’s through Spotify, Apple Music or Google Play, direct your fans to your music through your website and via social media. Streaming services have increased in popularity in recent years and artists from all over the globe use them. YouTube is another great platform to get your music heard online. If you haven’t got any videos yet and you’ve recorded a song, why not create an artwork video? It will keep your fans listening and engaged and it helps them to learn and find out more about who you are as an artist. What is a music blog premiere? Another great way to get exposure is through a music blog premiere. It’s a great way to get involved with a music blog that might not have covered your music otherwise. It enables you as an artist to exclusively release your music through a strong platform which can open you up to a bigger audience. 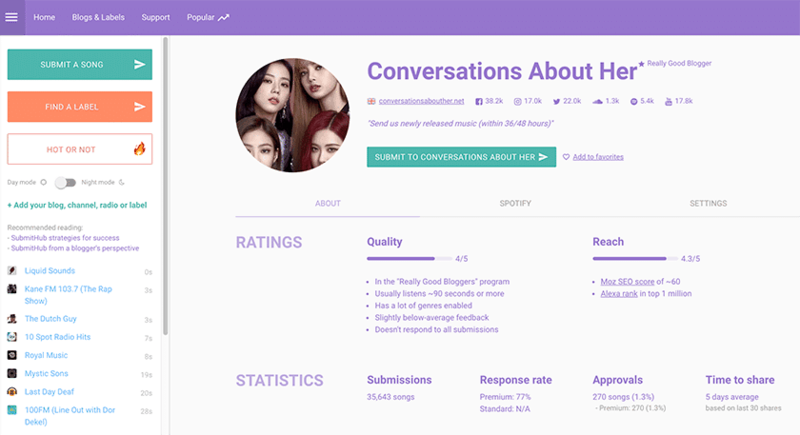 Typically, a music blog premiere is where a song, video or music project appears online before it’s appeared anywhere else – so it’s an exclusive. It might be given a premiere promotion on social media or in email blasts, or even with homepage placement on the website. To make it interesting and exciting for readers and music fans, it should also have some form of information that’s not available anywhere else such as a quote from the artist or details about upcoming music or projects. If you are a relatively unknown artist with a small following, a music blog with a big readership and a strong following can make a big difference. It can provide an excellent base for you to release new music and to create a fanbase for your whole career. Equally though, it might not be possible for you to release a premiere on a music blog. If not, have a think about other ideas that bloggers might be interested in. Make it something interesting – if your music has already been out in the public then it’s got to stand out to the blogger to convince them that your story is worth covering. Offer an incentive such as a new story or fact about your music that is worth sharing. So, you’ve put all that effort into finding the correct bloggers and pitching your music to them. How do you follow up on it? It’s frustrating waiting around for people to get back to you. But sometimes, a little patience is key and it will be worth it in the end. Bloggers tend to get a lot of emails, so it could be that they have got hundreds of emails to get through and they just haven’t quite got to yours yet. Firstly, give it at least two weeks before you send another email. You don’t want to sound desperate – and if you send another email before then, it could just put them off. Equally though, sending a second email is important because it shows how passionate you are. When you do contact them, be polite and friendly. Otherwise, you will likely not get any response at all! What happens when you get lucky? Hopefully, all your hard work will pay off and you’ll get a positive response from a blogger who wants to feature your music. Once you’ve reached that milestone, make sure you make the most of it. Share it across all your social media platforms. Put it on your website. Send it to your friends and family and encourage them to share it too. Send a message to the blogger thanking them for including you in their blog. Then, plan your next move. This could open a lot of doors for you. Have a think about other bloggers you could contact and see where it could take you next. There are so many options out there for you. Ultimately, whatever happens, don’t give up. Even if you email 50 bloggers and you only hear back from one, that’s something to shout about and you should be proud! You know you’ve got the talent and you know your music is worth listening to. Keep the faith and soon enough you will reap the benefits. 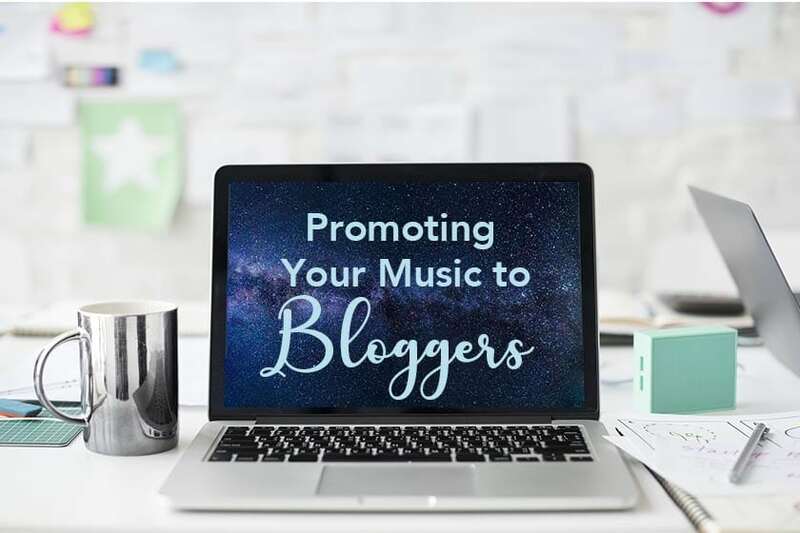 You’ve got lots of tips now on how to promote your music to bloggers and get you noticed as an artist. All you need to do now is get a great track together and put yourself out there. Do you know any great new music blogs? Put your favourite blogs in the comments below.